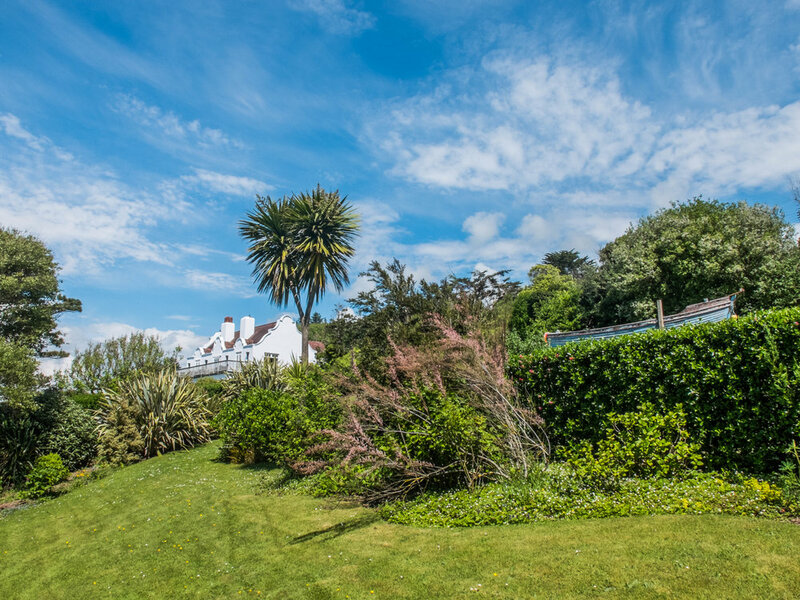 Your visit to Hafod Wen will be accompanied by our sloping gardens, with uninterrupted views to the sea and access to our bowling green, orchards, vegetable patch, garden hut and shipwreck. Stumble upon the 'View Points' hidden around the grounds for a perfect moment of quiet serenity, particularly special when enjoyed with a sunset. The whole site, except for the carpark, house terrace and bowling green, is sloping, in parts quite steeply. The house and cottage are reached from the carpark by a ramp which, if required, is suitable for wheelchair access. 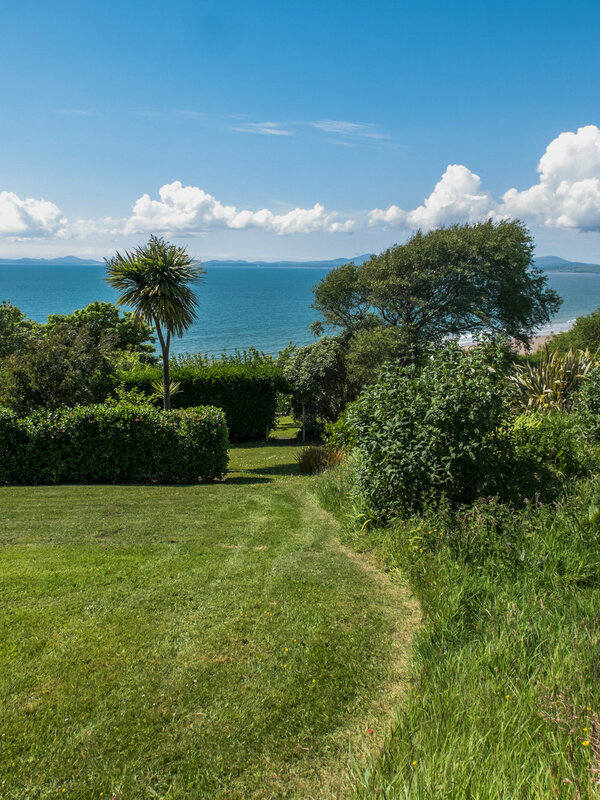 As the substantial gardens are sloping and overlooking the sea they are prone to the salt laden atmosphere generated by the Atlantic drift effect. Windbreaks and fencing have broken down the garden in to number of “rooms”. There you will find many shrubs and herbaceous plants, orchards, and a vegetable garden where Reg hides away when he contemplates the awfulness of the politicians who mismanage the country. He is currently trying to find a vegetable likeness to Gove and has prepared several others that should come in useful should he ever meet him. On the cottage side of the garden there are wooded terraced gardens with camellias and rhododendrons, carpeted by bluebells in the spring. There are many pathways and at one end of the garden the bowling green with its Edwardian pavilion. Standing on the green overlooking the beach one can be excused a lyrical moment as once was shared by Graves and Sassoon at this location where they met in Harlech during the Great War. 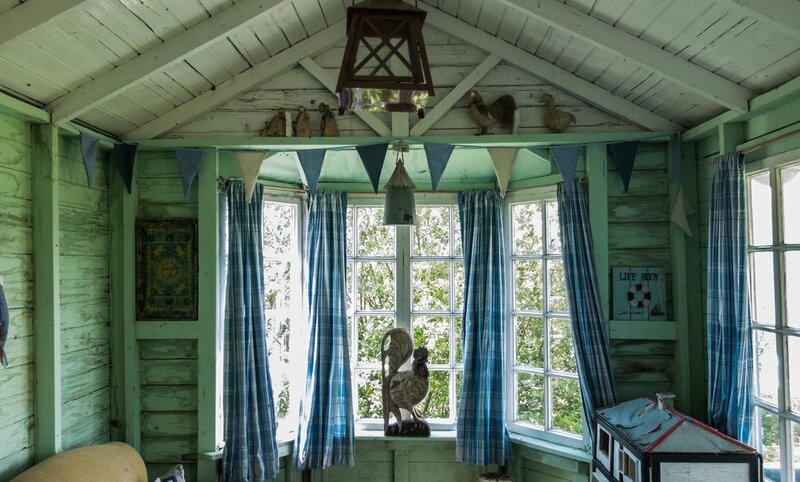 As for wildlife, Jane has her art studio in the orchard. On the way to it you may see too many rabbits, or the occasional stoat or weasel. At night, there are badgers and foxes. If you bring your dog for a walk their nose will be twitching. We have encouraged butterflies, moths and many insect species into the garden by careful planting. This also helps our beehives which are situated at the back of the bowling green. Our sheep field is rented by a local farmer and when not being grazed you are welcome to exercise your dogs. Towards the beach stone steps descend the escarpment. These were the original steps when the House could only be accessed from the railway. There is a path from the bottom of the steps to a public footpath which allows you to then cross the railway line and get to the beach. There are environmental walks at the bottom of the steps with maintained pathways and interest through most of the year. The paving around the house is mostly natural stone and fairly flat. There are, after that, stone steps and gravelled and grassed pathways. As the ground is mainly sloping, sensible and appropriate footwear is desirable.